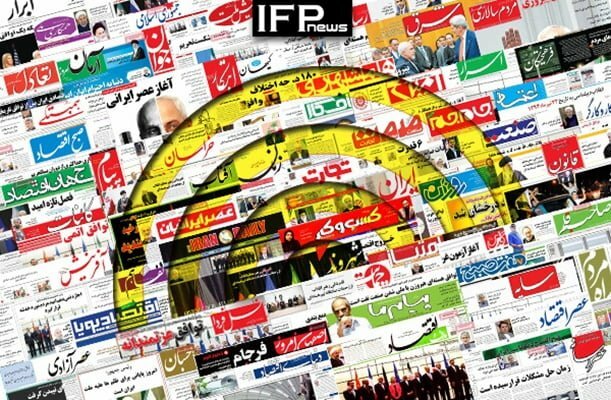 IFP has taken a look at the front pages of Iranian newspapers on Saturday, August 11, 2018, and picked headlines from 19 of them. IFP has simply translated the headlines and does not vouch for their accuracy. Several papers today covered the remarks made by the Leader of Iran’s Islamic Revolution Ayatollah Seyyed Ali Khamenei about the future of the country’s Islamic Revolution. The Leader has stressed that the enemies cannot do a damn thing, and people should not be worried. Also a top story was Tehran’s reaction to Iraqi Prime Minister Haider al-Abadi’s announcement that his country will have to follows US sanctions on Iran. Iranian people and officials, within the past couple of days, have strongly blasted the Iraqi government for the decision, noting that Iraq is making such anti-Iran moves despite the fact that it owes billions of dollars to the Islamic Republic over war compensation, as per the UN Security Council Resolution 598.